A very good question was asked in in the comments section of the following post about creating custom hatches [found here]. That post was about creating custom hatches using lines within a 1×1 square and then having the ability so save that custom hatch pattern to its own file and copying the contents into the bottom of your ACAD.PAT file that is located in your ACAD support path. The hatch pattern LISP routine was originally posted at Cadalyst.com 10 years ago and still works great (see why I like LISP so much) it can be [found here]. The question was basically – Why wont this routine work even though I am using nothing but lines and they all fit into the 1×1 square? I was sent the file that had the linework and I had the same results. Here is a snap shot of the desired hatch pattern. So I tried changing UNITS and “Angle Type” but I still got this error and gave up on trying to figure that out. Welcome to Express Tool SUPERHATCH!!! First make a block of the objects that you want to define your hatch pattern. Super Tip: One of my favorite uses of this tool is that you can make a hatch pattern out of curved objects!!! 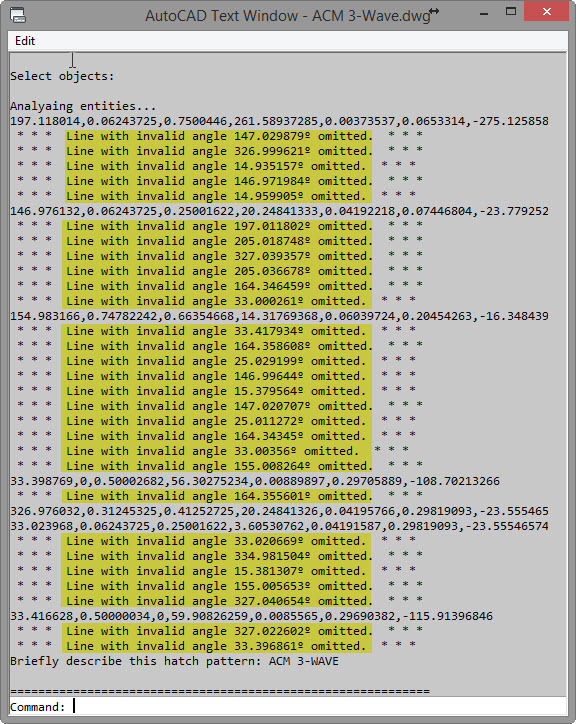 The POLYGON tool in AutoCAD creates “Simple Polygons” that are symmetrical. The Polygon tool is located on the Home tab > Draw panel > next to the RECTANGLE tool there is a pull down arrow, under that list is the POLYGON tool. You are then asked to “Specify the center of the Polygon.” You can do this by simply picking a point in the drawing area. Then you are asked if the polygon should be “Inscribed” or “Circumscribed“. This may be confusing for new users but it also trips up users that are “old pros” that have been using AutoCAD for a long time. Shown below are some examples that illustrate Polygons in relation to a circle. The circle and the Polygons share the same center point and the same radius. This illustration hopefully makes it easier to understand the prompts and which part of the polygon rests at the “radius” point. I also have to give the AutoCAD team kudos for adding a description after each option (Inscribed & Circumscribed) in newer releases of AutoCAD. It used to just ask you to specify an “I” for Inscribed or “C” for Circumscribed. The arrow shown below that is labeled “Distance” shows the center point (back end of arrow) and the radius (at the arrow end). When you specify the radius of an inscribed polygon, you are defining where a corner of the polygon will be placed. When you specify the radius of a circumscribed polygon, you are defining where the midpoint of one of the edges or segments of the polygon will be placed. The “Cool Trick” that is mentioned in the title is something that is sometimes overlooked. It is an option that we glance over when the POLYGON command is launched. It is the “Edge” option. This is especially useful when creating a circumscribed polygon. Instead of specifying a center point and a radius, you define the length and angle of an “edge” of the polygon. 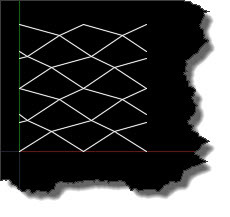 Watch the Dynamic Input as the angle and length are entered to define the edge. The Coolest trick is using the edge option to make a square. You simply tell it to make 4 sides – then pick 2 points and voila you have a square!!! The routine illustrated below is from Alan Thompson found HERE at CADTutor. 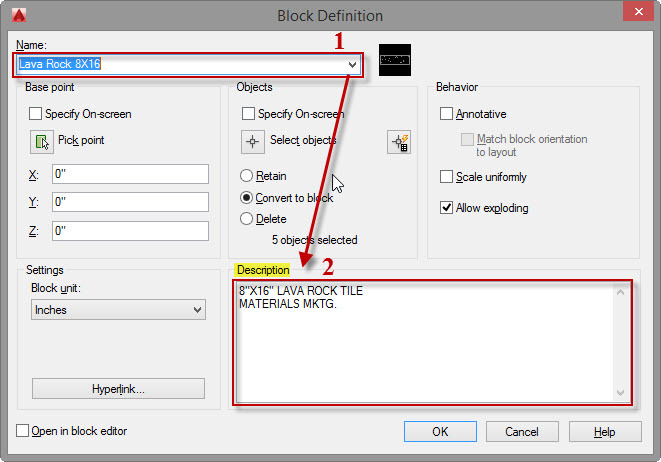 This routine lets you select a block and place a multileader that contains the name of the block. The arrowhead or leader point is automatically placed at the block’s insertion point. So if you would like to change the placement, you can do so afterwards. Please refer to the above link of the source where Alan posted the code for any questions or comments and also giving him a “thank you” in regards to the routine.